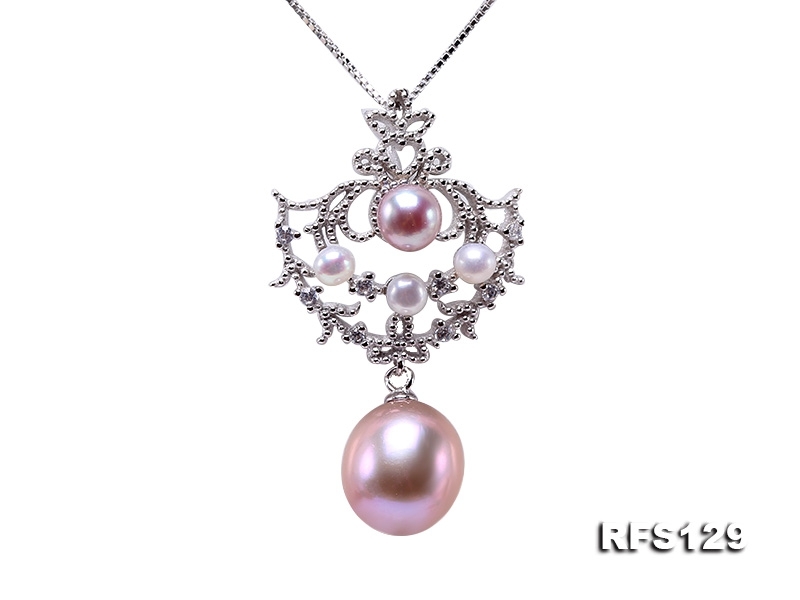 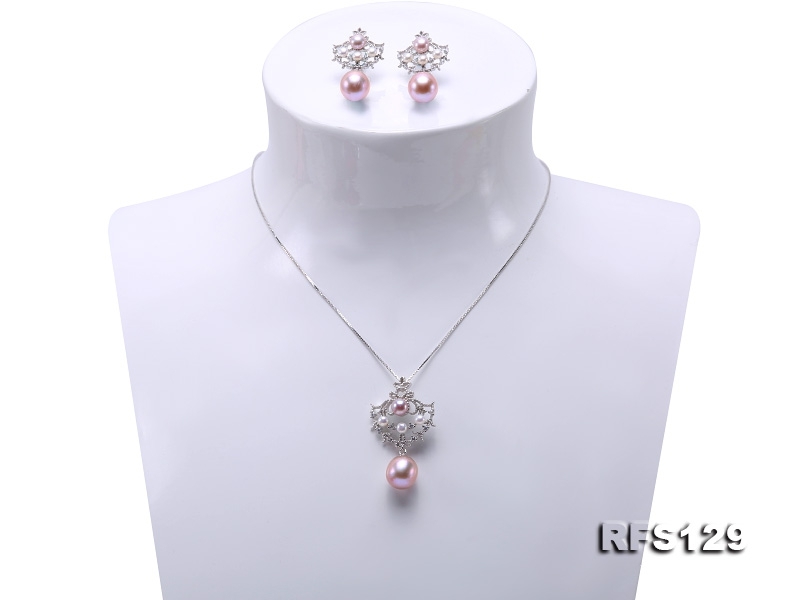 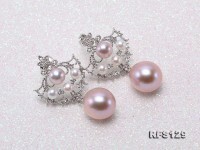 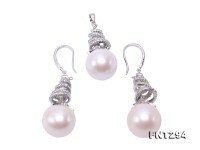 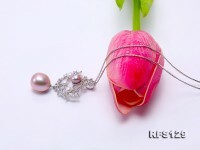 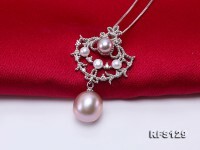 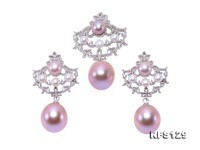 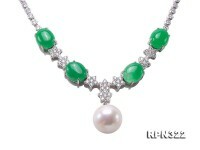 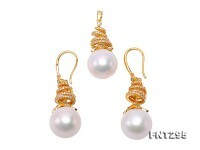 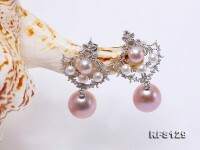 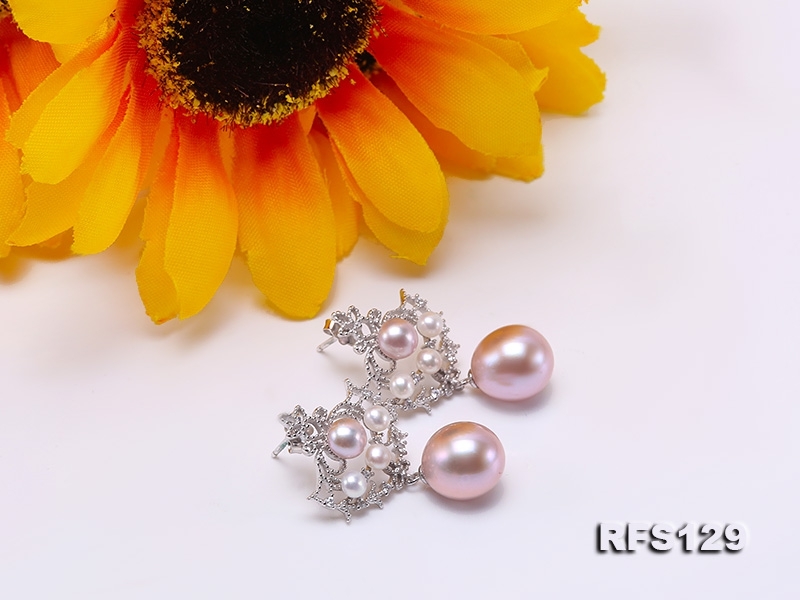 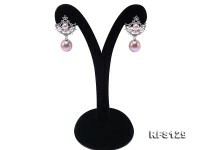 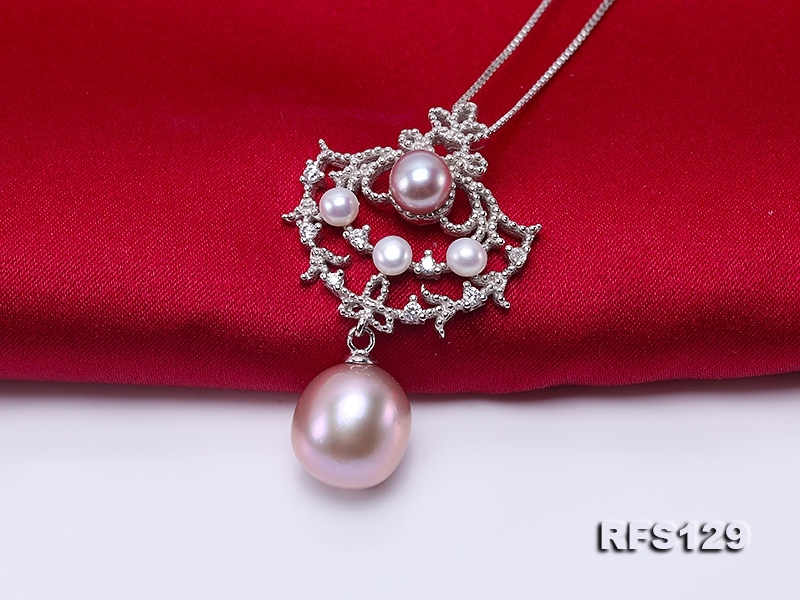 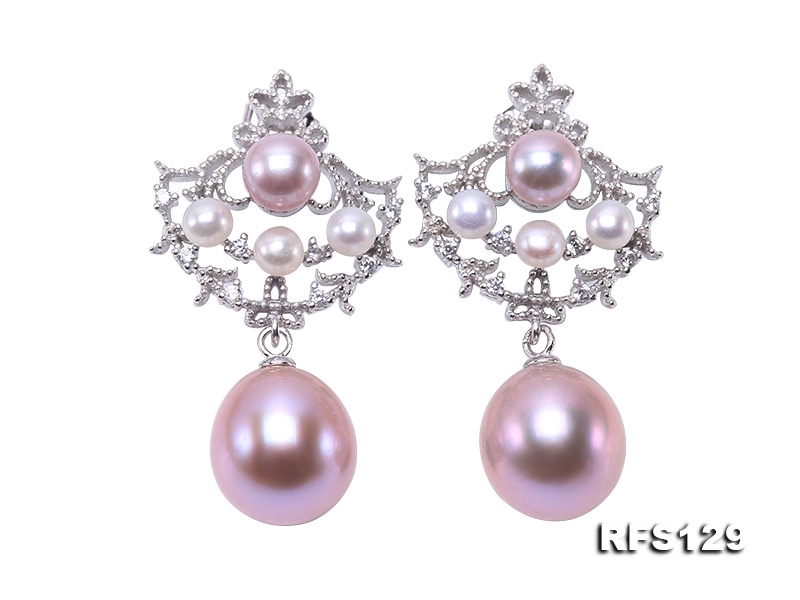 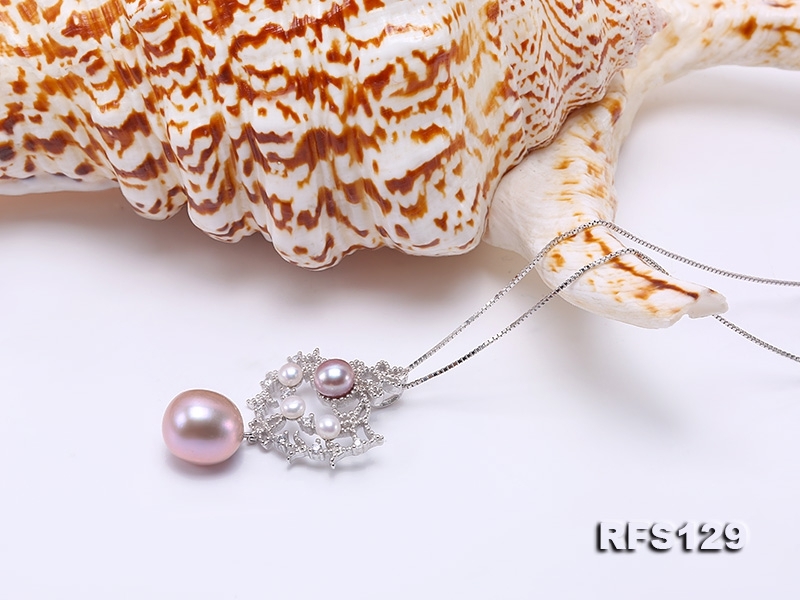 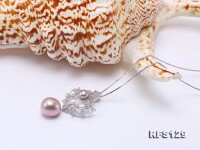 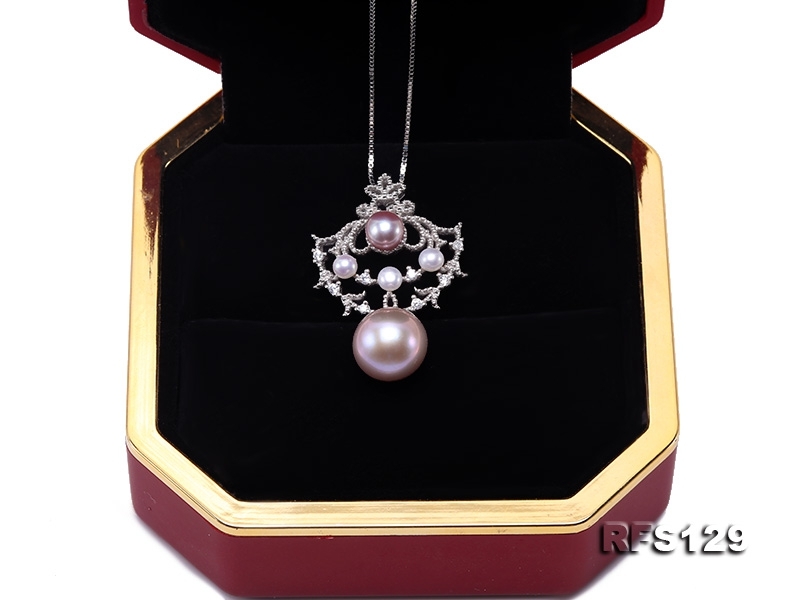 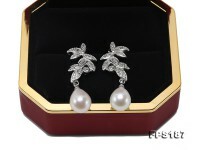 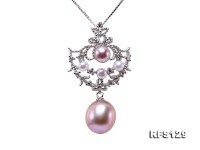 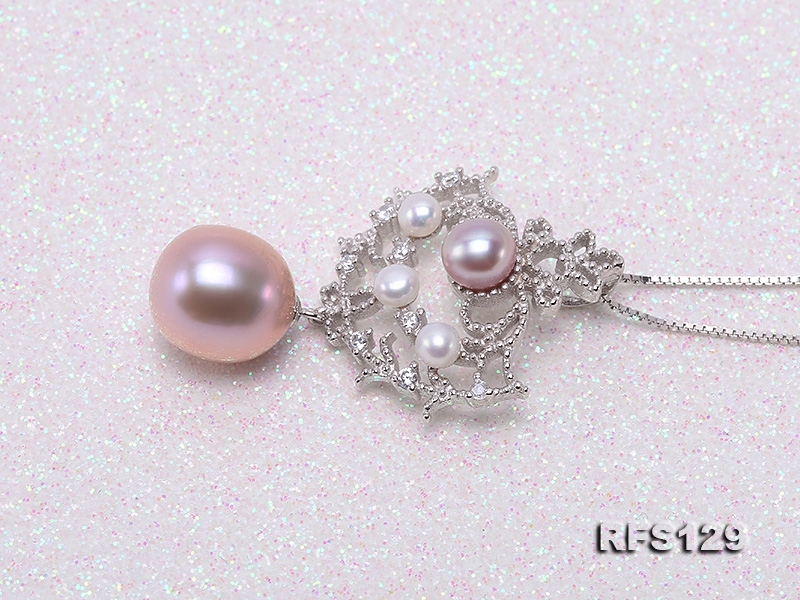 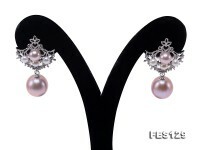 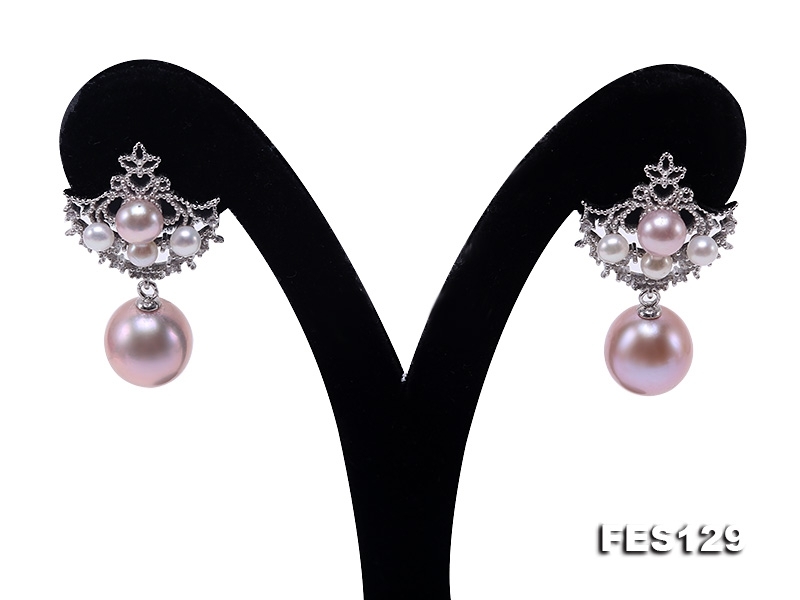 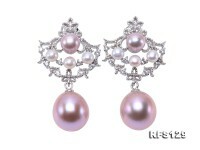 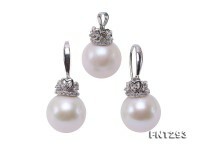 Exquisite set of pearl earring and pendant, set in shiny zircon-inlaid sterling silver bails. 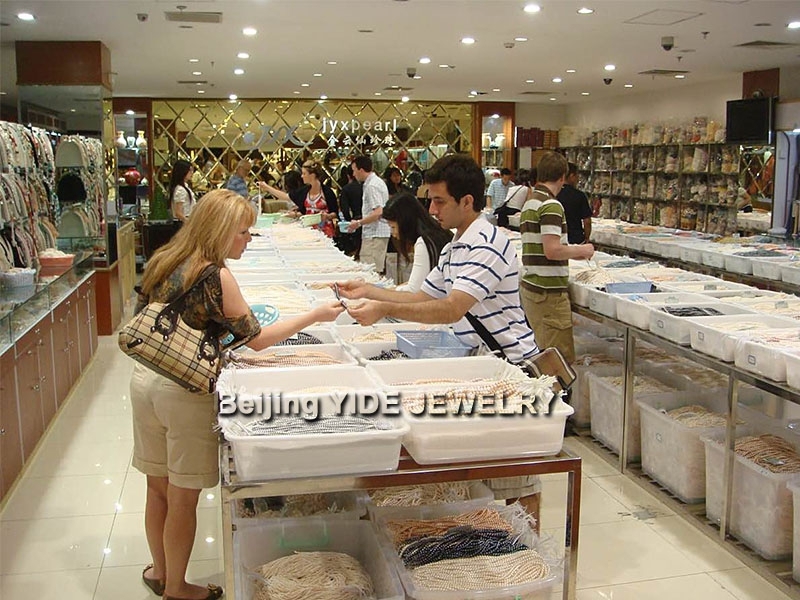 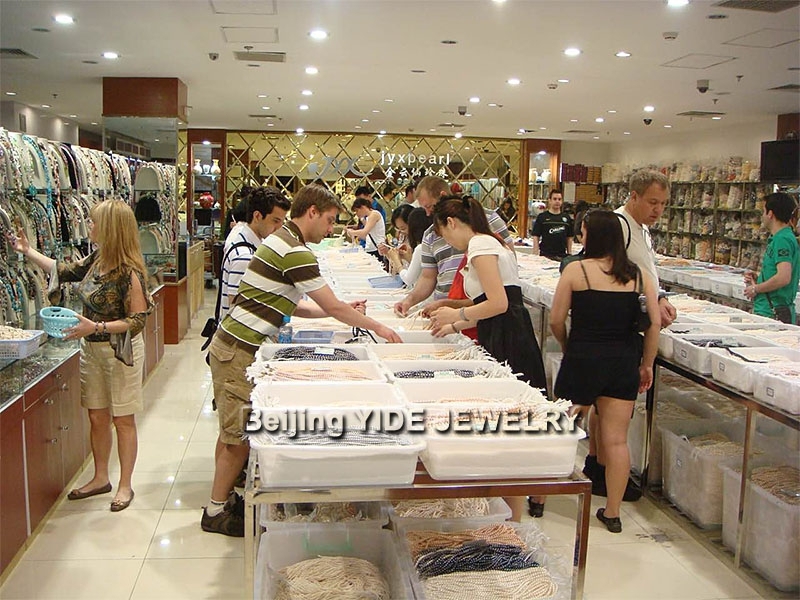 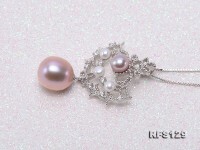 Smaller white and lavender pearls are inlaid in the chandelier-shape silver bails. 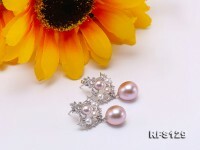 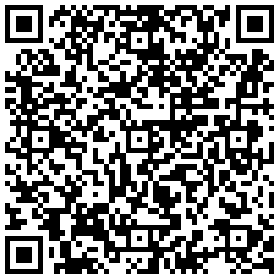 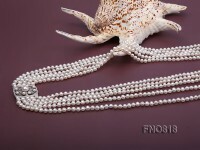 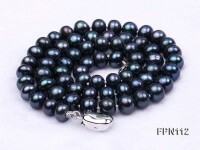 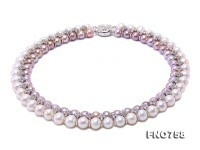 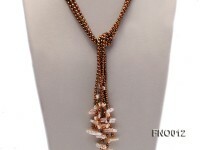 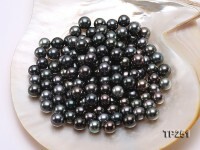 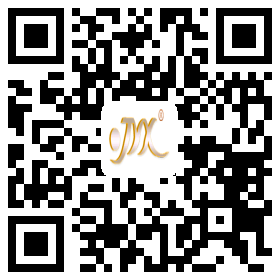 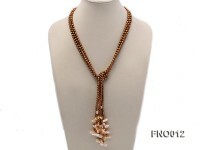 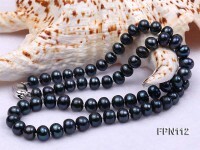 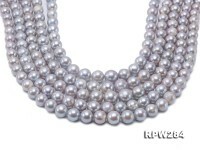 The pearl drop is 10mm with excellent quality, flawless and lustrous!